This place is filled with towers of books. Looking for a book here is like playing Giant Jenga. If you’re not careful, the whole thing will fall down. Even the window displays are massed piles of books. But it is a great bookstore, especially if you’re looking for books about old Chicago. This is where I found Deadlines & Monkeyshines, and of course some books on Mike Royko, including one I’d been looking for, For the Love of Mike. As you can see, they also have a nice selection of cheap Tarzan novels. Not a huge amount of mass-market fiction, but I was able to find some nice options there as well. And a whole lot of history books and a bunch more. You have to wander through it to believe it. If you are in Chicago, there are a handful of places you must visit. 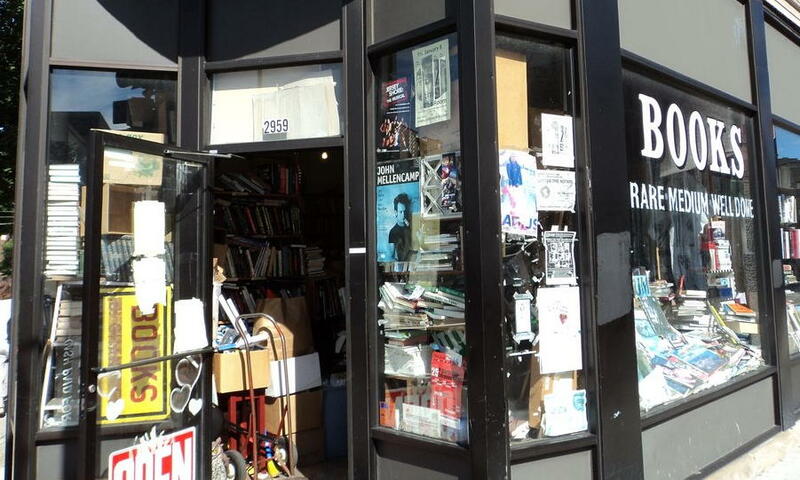 The Billy Goat Tavern; the Lincoln Park Zoo; the Printers Row Lit Fest; and, in my opinion, if you’re a book-lover you must visit Bookman’s Corner. Chicago: Bookman’s Corner last modified March 9th, 2016.